The River Valley Sportsmen Club is a sporting clays shooting range located in the heart of the Arkansas River Valley in Johnson County, Arkansas, and is managed by Mark & Jackie Nowotny. 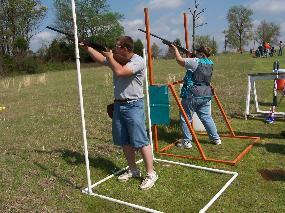 RVSC hosts a variety of National Sporting Clay Association (NSCA) registered tournaments as well as club league shoots. The club is also proud to offer shooting programs for area youth through the Scholastic Clay Target Program (SCTP) and the American Trap Association (ATA).